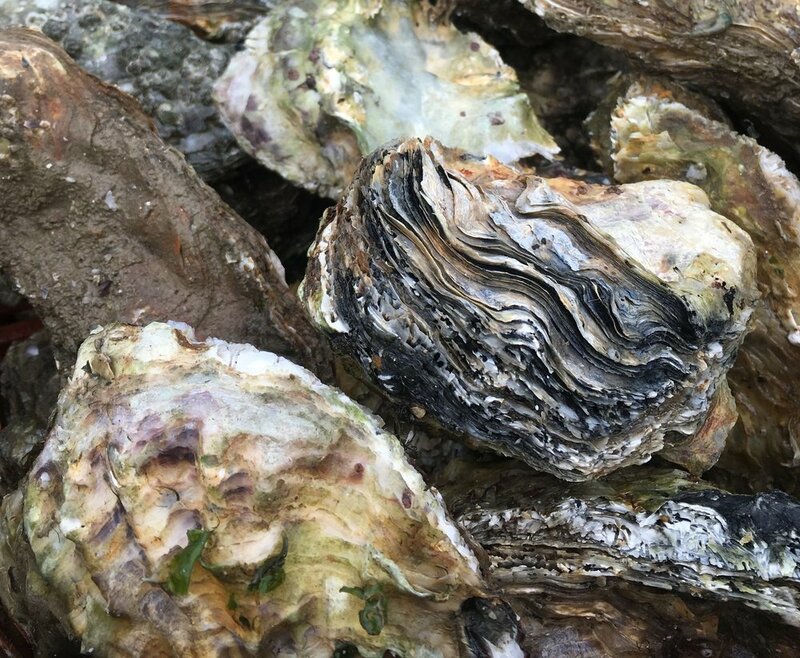 Wandering along Coast Road in Mersea, we spied a pile of magnificently large, colorful oysters in a crate on back of a lorry. 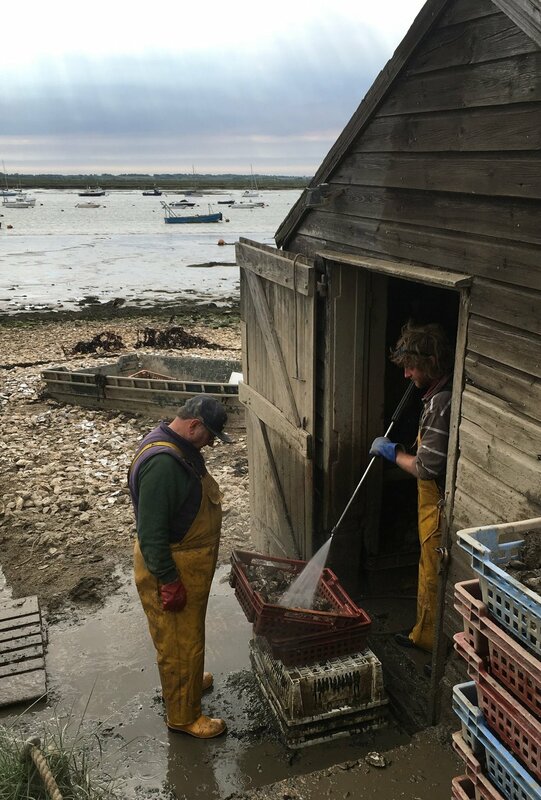 Turning round, we saw two oystermen cleaning a new lot. We then proceeded to eat a cartload of shucked sweet, soft loveliness. Thank you, England! It's a joy to be back.